Despite Apple attempts to push deeper into the Indian smartphone market, the iPhone is still largely failing to gain traction, according to a recent research study. Although Indian smartphone shipments grew 17.1 percent sequentially in the June quarter, after half a year of contraction, most native and international companies saw shipments shrink —with Chinese companies seizing all of the growth, IDC said. Even Apple's older offerings are considered "premium" in India. In that segment, IDC claimed that the iPhone SE failed to make any significant impact, with the iPhone 5s contributing most of Apple's share of devices priced at $300 or higher. Samsung continued to dominate the Indian smartphone market with a 25.1 percent share, and 10.9 percent sequential growth. 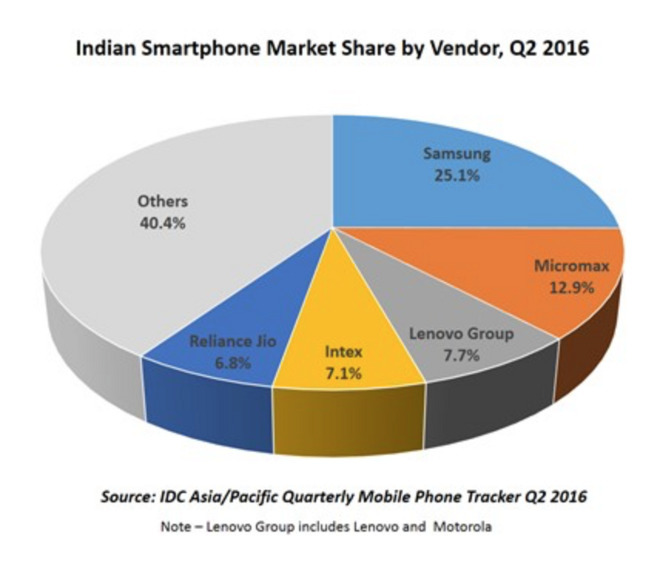 Micromax, Lenovo, Intex, and Reliance rounded out the top five. IDC noted that feature phones continue to account for more than half of the total Indian phone market. Nevertheless, the smartphone market is not expected to contract for the remainder of the year because of the widening penetration of LTE networks, and the contraction of CDMA. Apple is in the middle of trying to open retail stores in India to improve its current sales channels. The company was initially blocked from building stores by government product sourcing requirements, but those regulations have recently been eased. 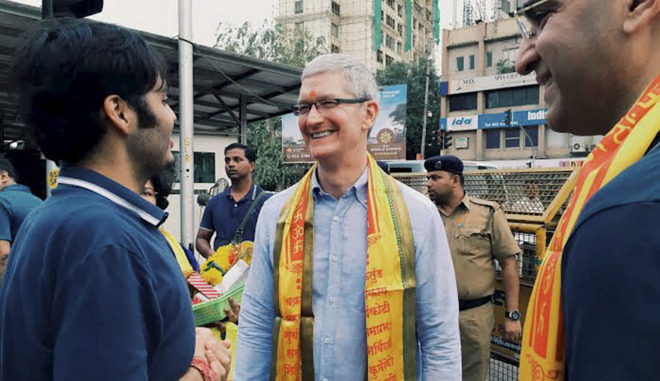 In an interview with CNBC in May, CEO Tim Cook argued that growth in India will ultimately play a huge role in Apple's future. Reinforcing the company's commitment to the the country, it recently leased 40,000 square feet for a development center in Bengaluru.